Finite linear groups in seven variables (Research Announcement), Bull. Amer. Math. Soc. 74 (1968), 197-198. (with M. Hall, Jr.) The simple group of order 604,800, J. Algebra 9 (1968), 411-450. The classification of simple groups of order p3a2b, p a prime, Proceedings of Symposia in Pure Mathematics, Vol. XXI, Representation Theory of Finite Groups and Related Topics (1971), 161-163. (with J. Conway) Construction of the Rudvalis group of order 145,926,144,000, J. Algebra 27 (1973), 538-548. (with C. Huffman) Linear groups containing an element with an eigenspace of codimension two, Proceedings of the Utah Group Theory Conference, Academic Press, New York, 1976. (with J. Saxl and R. Wilson) Embeddings of Sz(32) in E8(5), Bull. London Math. Soc. 32 (2000), 196-202. (with B. Doran IV) The partition algebra revisited, J. Algebra 231 (2000), 265-330. (with A. Cohen, A. Steinbach, and R. Ushirobira) Lie algebras generated by extremal elements, J. Algebra 236 (2001), 122-154. Quasiprimitive linear groups with quadratic elements, J. Algebra 245 (2001), 584-606. (with A. Cohen) Linearity of Artin groups of finite type, Israel J. Math. 131 (2002), 101-123. (with A. Cohen and D. Gijsbers) BMW algebras of simply laced type, J. Algebra 286 (2005), 107-153. J. Knot theory an Its Ramifications 18, no.4, (2009), 447-483. (with A. Cohen and D. Gijsbers) The BMW algebras of type Dn, preprint, 2007. (with A. Cohen and B. Frenk) Brauer algebras of simply laced type, preprint, 2007. (with C. Ku) Eigenvalues of the derangement graph, preprint, 2008. 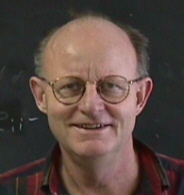 Click here to get a listing of D. Wales' papers from the AMS MathSciNet with links to Mathematical Reviews.